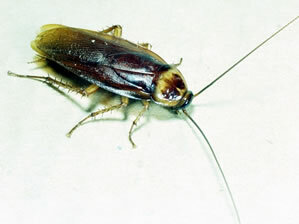 American cockroaches are active throughout the year, but they do not tolerate cold temperatures well. In homes, they live in basements and sewers, the source of their access to the indoors. They are also found in crawl spaces, cracks and crevices of porches and foundations. When disturbed, American cockroaches run rapidly and may fly. They feed on a wide variety of plant and animal material. 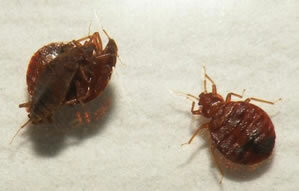 Bed bugs are small, wingless and feed exclusively on the blood of mammals. They gravitate to areas where people sleep, hiding near beds and futons, and then feed on their sleeping hosts by painlessly extracting a few drops of blood at each biting. The feeding process injects a miniscule amount of bed bug saliva into the skin, which can result in allergic reactions. Highly venomous, a bite from a black widow spider can cause muscle aches, nausea and difficulty breathing, but it is rarely deadly to healthy adults. 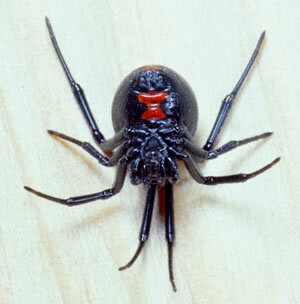 Black widows are nocturnal and typically nonaggressive, attacking only when their webs are disturbed. They can usually be identified by the red hourglass figure on their bodies. 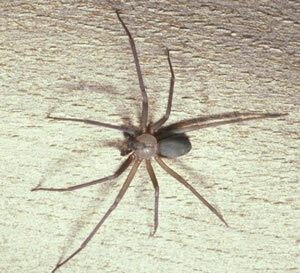 The body of the brown recluse spider features a black line that looks like a violin, which has earned it the nicknames fiddleback spider, brown fiddler and violin spider. The spider is venomous, and its bite can cause severe skin lesions, severe systemic symptoms and death. True to its name, however, the brown recluse isn’t aggressive and usually bites only when touched or tangled up in clothes, bath towels or bedding. Carpenter ants, which can grow to a size of half an inch in length, nest in moist wood such as rotting trees and stumps, and logs or boards on the ground. Nests have been found tubs, sinks, showers and dishwashers, under roofing and in attic beams. They remove wood as they create galleries and tunnels. 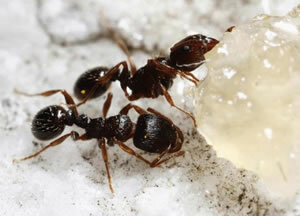 Indoors, carpenter ants feed on meat and sugary foods. As their name suggests, cat fleas normally attack cats, their host of choice, but will feed on any blood host available, including humans. People sensitive to flea bites will develop large, itchy welts at the bite sites. 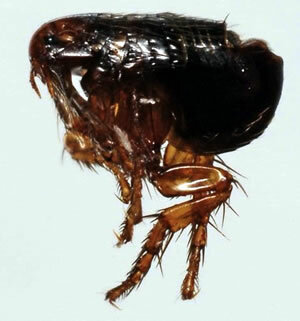 The fleas serve as hosts for tapeworms that infect cats, dogs and humans, and flea larvae feed on organic debris in pet bedding, furniture and carpeting. 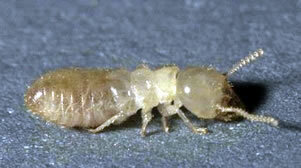 The eastern subterranean termite is the most common North American termite. They feed on cellulose material such as wood, wood fixtures, paper, books and cotton. A mature colony can range from 20,000 to 5 million workers, with the queen adding up to 10,000 eggs per year to the total. Eastern subterranean termites have no permanent nests and the colony remains mobile. Fruit flies can be a nuisance all year round, but they become especially active – and plentiful – during the late summer and fall when fruits and vegetables reach maturity and are picked. In addition to tomatoes, melons and squash, fruit flies are also attracted to rotting bananas, potatoes, onions and other unrefrigerated produce. Females lay up to 500 eggs, and the larvae feed on the yeasts in the fruit. 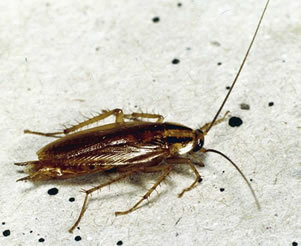 The German cockroach is one of the most common and prevalent cockroaches in the world. 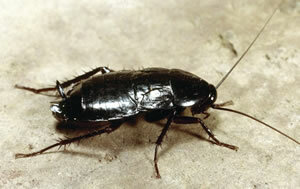 It is a significant year-round pest that tends to contaminate food, spread disease and cause allergies. It is a scavenging omnivore that prefers starch, sugary foods, grease and meats. As a nocturnal insect, it emerges at night to search for food and water. 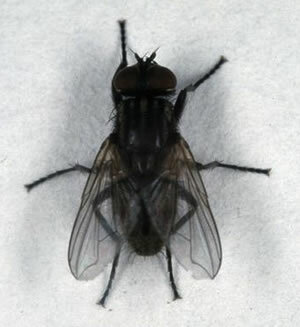 More than a nuisance, house flies can carry more than 100 pathogens, including typhoid, cholera, salmonella, tuberculosis. 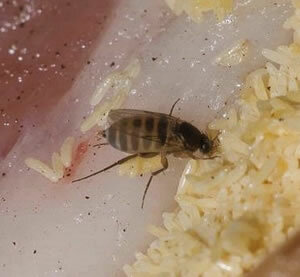 House flies feed on a variety and high volume of foods, causing constant defecation which can contain the diseases. They are active only in the daytime, resting at night in the corners of rooms, ceiling hangings and other quiet places. Indian meal moths are the number one pantry pest. It infests stored grains, fruits, dried nuts, powdered milk, vegetables and, particularly, dried pet foods by flying at night and laying eggs on these foods. 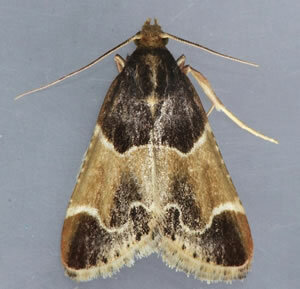 The moths typically are introduced to homes unsuspectingly, through foods already infested with the pest. Their life cycle is approximately six weeks long. 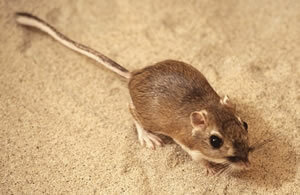 After humans, mice are the second most successful, resourceful mammal. Mice can fit through an opening 1/4 of an inch or larger, or about the width of a pencil. Mice will make their nests in many areas in and around the home, especially in stacked firewood, stones and bricks, and piles of leaves. 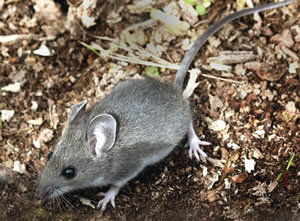 Mice can contaminate food, spread disease and cause allergies. Norway rats, also known as brown rats and common rats, will consume almost anything. They can grow as long as 10 inches, with a tail the same length. They are usually active at night, are good swimmers both on the surface and underwater, but are poor climbers. They burrow and often excavate extensive systems. Rats damage property, spread disease and can bite. Deriving their name from the distinct coconut odor their crushed bodies emit, odorous house ants are tiny and dark brown to black. To find food, they travel together in long trails across indoor surfaces. 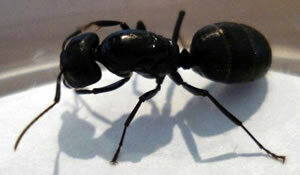 Although they don’t bite or sting, they can be a nuisance once foraging begins and food contamination is possible. Oriental cockroaches grow to a length of 1.25 inches and have a one-year lifespan, during which each female can produce 150 offspring. Males have wings and will either run quickly or fly when disturbed; females, lacking wings, run only. Unlike others of their genus, oriental cockroaches cannot climb smooth surfaces. They remain indoors year-around, usually in cooler areas like basements and crawl-spaces. 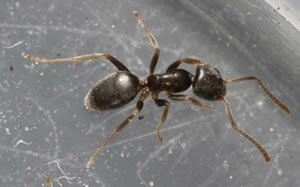 Pavement ants will eat nearly everything humans eat – plus insects both alive and dead. They often enter homes in their quest for food, and can grow to large numbers in a short period of time, usually in a kitchen or on a patio. Their name is derived from their favorite nesting places: typically under sidewalks and driveways, and inside building foundations. 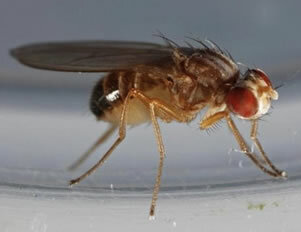 Phorid flies, also known as humpbacked flies, are small and resemble fruit flies. When disturbed, phorid flies typically run across surfaces instead of flying. Phorid flies are common in home kitchens and pantries as well as trash cans and dumpsters – wherever moist organic matter gathers. Because these flies frequent unsanitary conditions, they are a potential health concern. Male wasps cannot sting, but females have a needle-like egg-layer which also serves as a defensive venomous stinger. 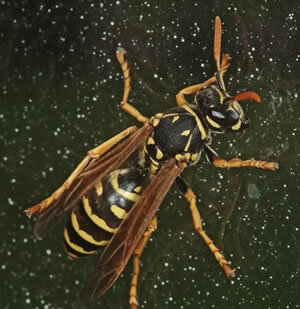 Wasps often build nests under soffits, behind siding and shutters — places that offer shelter from the rain. Because they are attracted to moisture and sweet odors, wasps will hover around sweat, perfume, food, flowers, dead insects and other things found in the home.